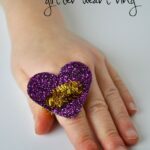 Now that the new year has officially started, I’m excited to share with you some fun Valentine’s Day crafts and activities. I know it’s a bit early, but if you’re like me you like to plan ahead. 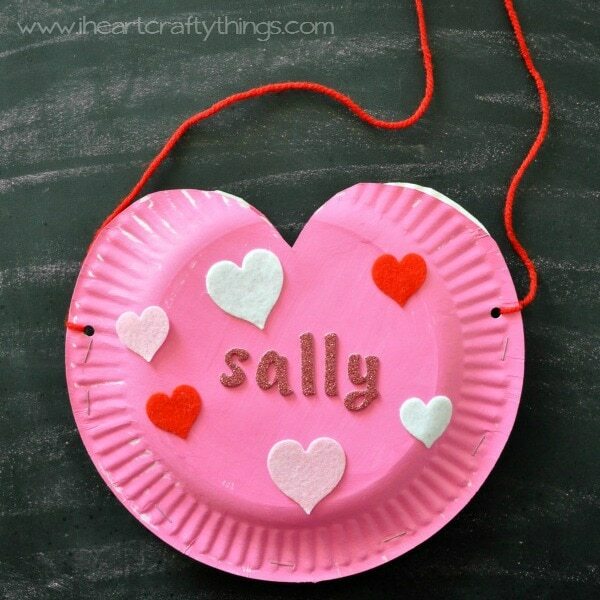 Today I’m sharing this cute Paper Plate Valentine’s Holder. It would be perfect for preschool classmates to share their Valentine’s or for use at home for parents and siblings to pass on little love notes. 1. Start by putting your paper plates together and cutting a slit out at the top to make a heart shape. Holding the paper plates together makes it so you only have to make one cut and makes the two hearts the same shape. 2. 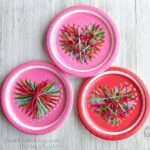 Paint the bottom of your two paper plate hearts and let them dry completely. 3. 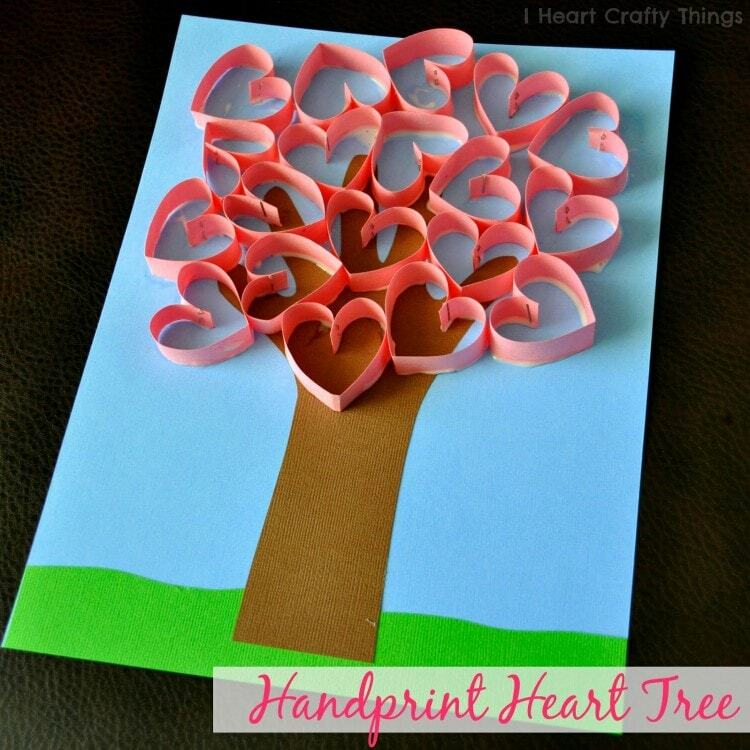 Use a stapler to join the two paper plate hearts together. You only need to staple a little more than halfway up on the sides to leave a good opening for Valentine’s. 4. 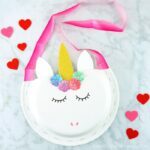 Decorate your paper plates with heart stickers or whatever you have on hand (glitter glue, sequins and markers are all great options) and add your name with alphabet stickers. 5. 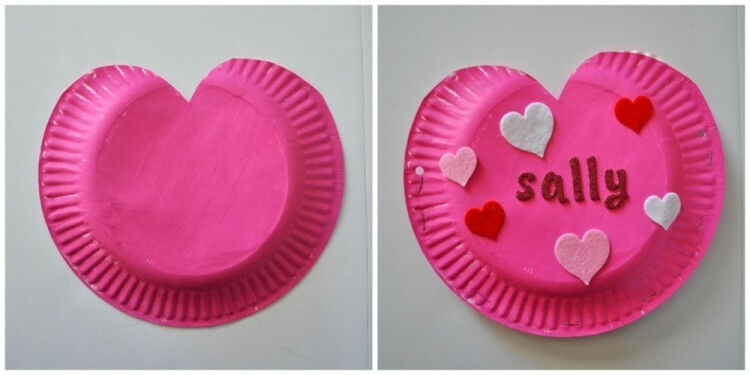 Use your hole punch to punch a hole on the sides of the paper plate hearts. 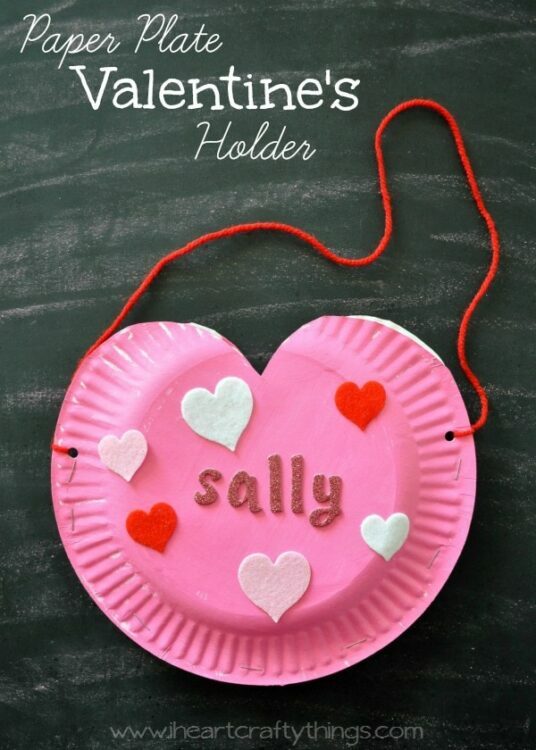 Tie a piece of yarn or string to the holes and you have a hanging Valentine Holder.